There’s been much talk surrounding FCA and Jeep in the last little while. If you haven’t heard, FCA is for sale and has been for a while. Even though it’s a large empire than spans the globe with numerous R&D centres, assembly plants and countless dealerships, this conglomerate’s greatest asset is not Chrysler, or Fiat. It is Jeep, and by quite a margin. In fact, depending on who’s doing the counting or the buying, Jeep could be worth more than $33 billion on its own! What’s crazy is that if one was to buy FCA as whole, the asking price would hover around the $32 billion mark. Yes, Jeep is worth more on its own than the entire group (Ram, Chrysler, Dodge, Fiat, Alfa Romeo, Lancia, Maserati, Jeep and more) does together. How is this possible? Jeep has become a powerhouse of a brand with sales increasing 175% worldwide since 2009. Over the last three years, Jeep has sold more than 3.5 million units (1.4 million in 2016 alone) and if the trend continues, well, who knows how many more could hit the trails? Remember, SUV and CUV deliveries are skyrocketing and Jeep has become a hot ticket. Again, how is this possible? The Wrangler, the Compass, the Renegade and the Grand Cherokee have all struck a chord with a part of the world (or all of it) and this despite the fact that there is no such thing as an Jeep EV or anything really green about the trucks other than some available colours. As you well know, going green is more than just a trend yet Jeep, for the moment, is doing its thing and making tanker-loads of money in the process. Jeep has capitalized on its history and reputation, but has not sat on it. 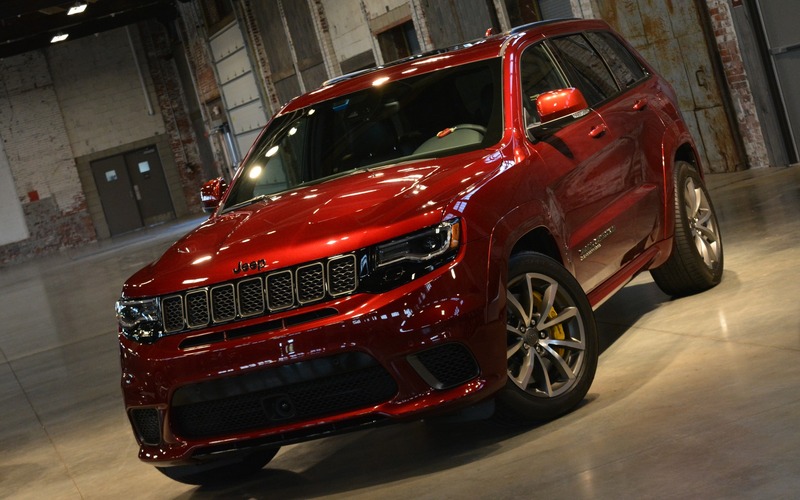 The arrival of the insane 2018 Jeep Grand Cherokee Trackhawk proves this point. Who the hell needs a 707-horsepower Jeep that pulls 7200 lbs., reaches 100 km/h in 3.7 seconds and covers the quarter-mile in 11.6 seconds? No one, that’s who! Be that as it may, everyone’s taking about it and they all want one. Jeep is selling the idea of Jeep and it’s working. At $110,000, very few will park a GC Trackhawk in their garage, but they will take a Laredo home thinking they own a small piece of the halo brand. This is absolute brilliance on FCA’s behalf, but they’re not done yet. Not even close. The new Jeep Wrangler is set to hit the trail later this year and its promises to deliver everything we expect from it and more, including a pickup version. Mark my words; the return of a Jeep Scrambler will set showrooms on fire. If this, and more, comes to pass, today’s $33 billion evaluation will seem like a freakin’ bargain in a few years.